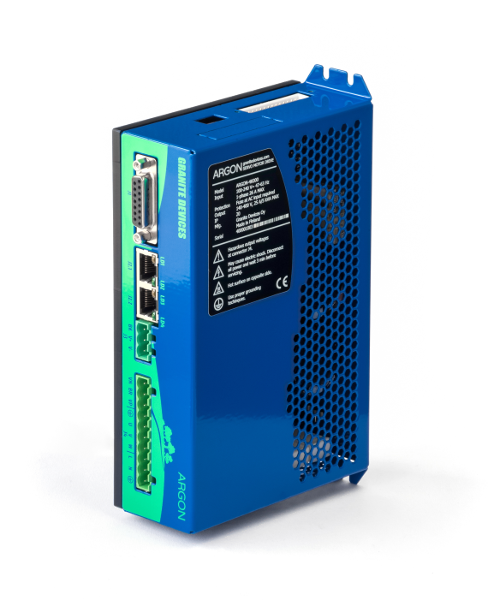 Versatile servo drive ARGON supports virtually any type of industrial servo motor including AC, Brushless DC, Brush DC and Linear motors. Whether the application requires position, velocity or torque operating mode, Argon handles them all out-of-the-box. Built-in motion profiler enables simple point-to-point moves as well as continuous synchronous motion tracking. ARGON reduces the number of motion control components to the bare minimum. 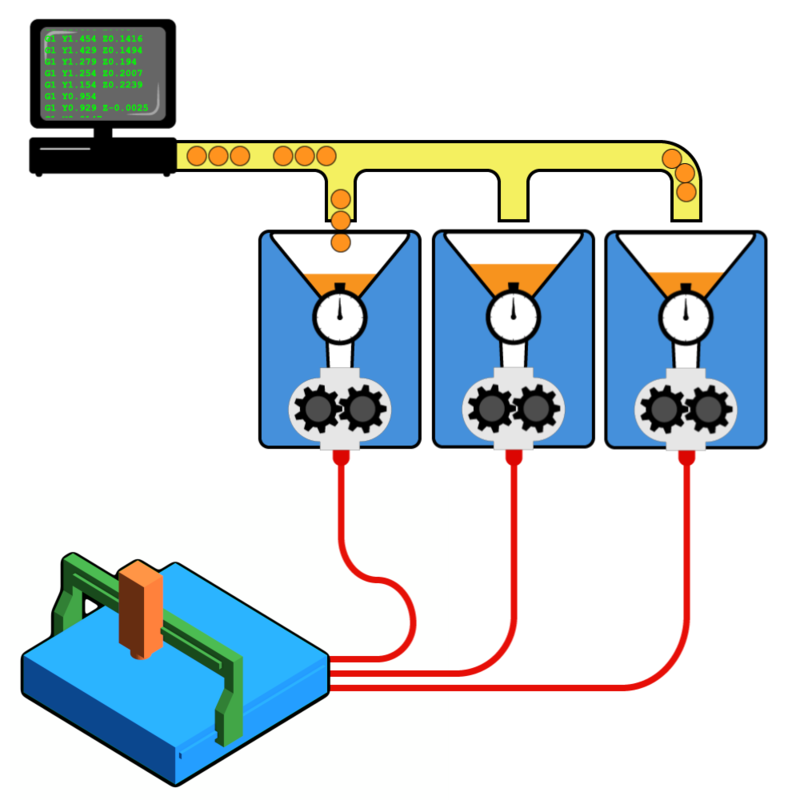 A typical PC controlled multiaxis system can be implemented by using direct USB or RS485 driven SimpleMotion field bus to the servo drives. The same bus carries a dedicated safety stopping circuit without additional wiring. The wiring scheme is compatible with IONI drive allowing mixing different kinds of drives. In addition to SimpleMotion bus, ARGON also reads traditional control signals, such as pulse & direction, PWM, and analog velocity reference out of the box. In such case, SimpleMotion is only used for drive configuration with Granity. Hardware of Argon has been designed from ground up without any historical payload. This not only costs less but also yields unforeseen flexibility and reliability. Servo motor drive Closed loop control of various types of servo motors by sinusoidal field oriented control with dead-time distortion correction and high dynamic range torque control. Real-time requirements? Not one of your problems. Implement your multi-axis motion control application with SimpleMotion buffered motion stream API and break free from the need of real-time motion controller. 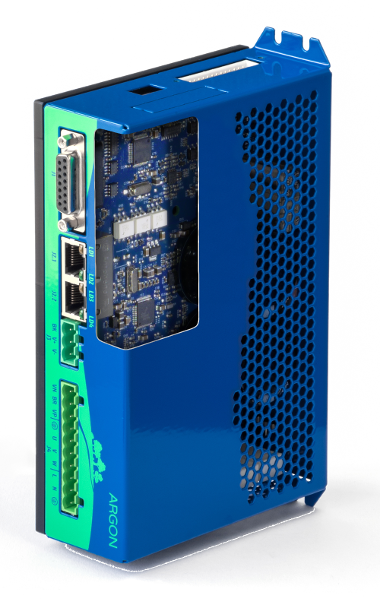 User application just fills-up drive buffers with position setpoints and drives will run the commands synchronously based on their internal precision clocks. This allows host motion controller to be just an ordinary non-realtime PC application. Best of all? 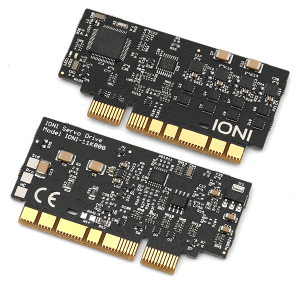 Everything can be done over omnipresent USB or RS485 port. If hard real-time control is required, SimpleMotion bus also supports instantenous commands up to 20 kHz command rate. Goodbye frustration, hello future! Granity makes setup and tuning of servo motor a breeze. 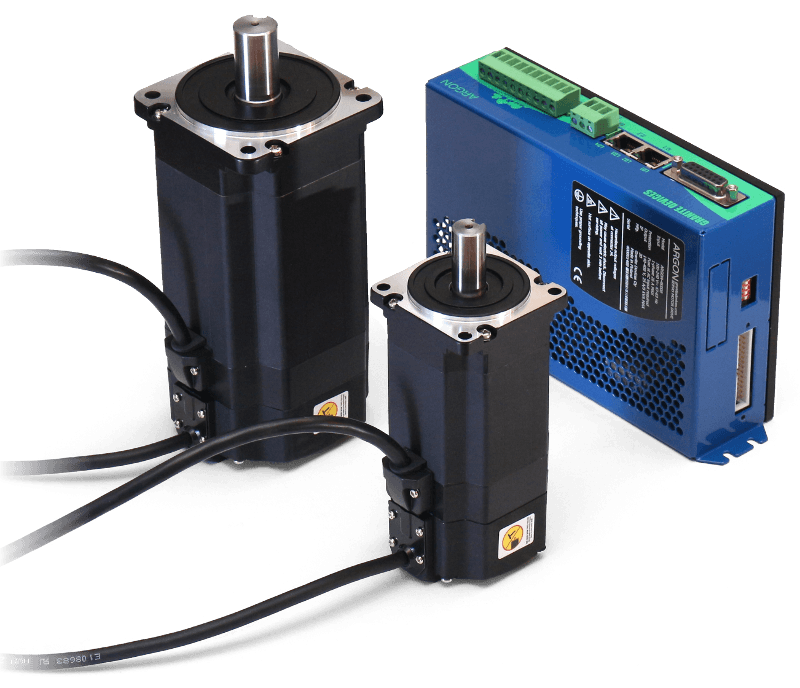 Combined with walk-through online documentation, motors are fully configured and running in the industry record time. Mates with Low voltage servo or stepping motors. See motor compatibility guide. Low voltage servo or stepping motors. See motor compatibility guide. Low voltage servo or stepping motor. See motor compatibility guide. High voltage servo motors. See motor compatibility guide. 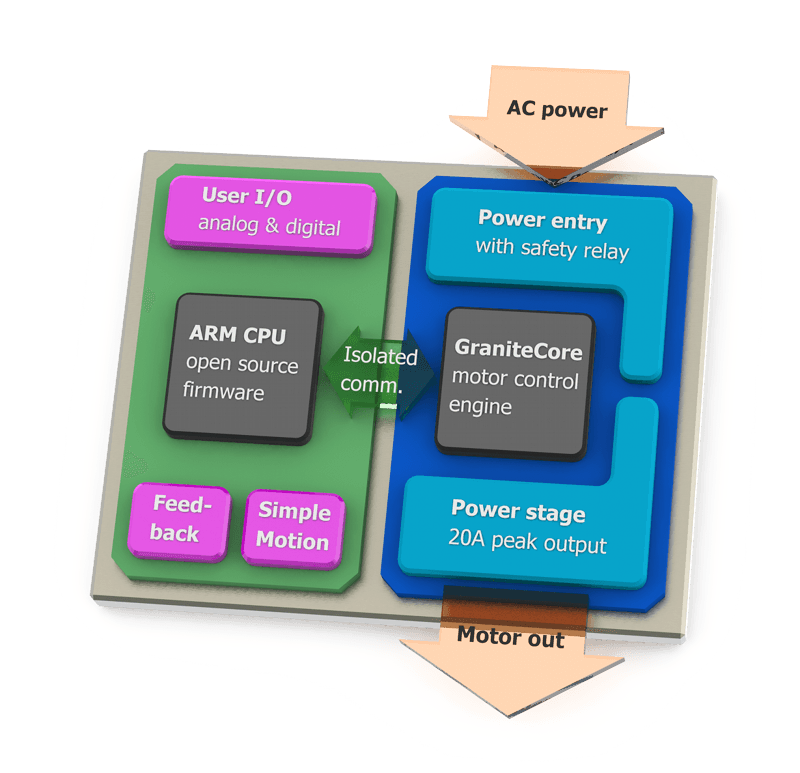 Maximally simplified but still capable open source motion control library to control all Granite Devices drives on PC or embedded systems. SimpleMotion allows taking full control of all drive features with small amount of code.